The Internet is built on encryption. Your privacy and security depend on encryption. Your purchases on Amazon. Your 401k and bank transactions. Your credit card purchases. 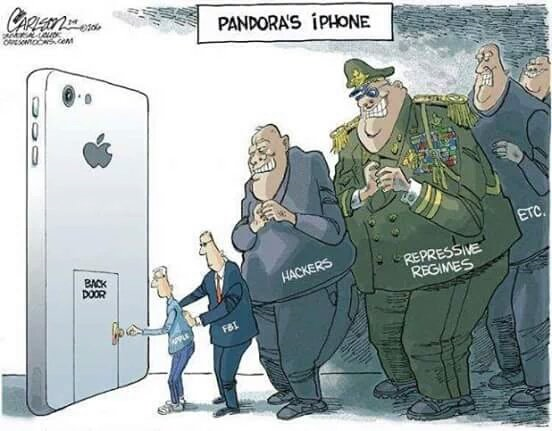 The notion that Apple can break encryption so that the FBI can get data off a single iPhone is simply not true. It's like saying you can stir hardened concrete by using a longer stick.